The scope of our work has no limits: Standard enclosures, Custom enclosures, MCC's, Fiber Optics panels, Solenoid/Profibus panels, Purged Systems, and integration of any PLC manufacturer is supported. Our production facility has complete assembly, wiring, metal fabrication, and testing areas allowing us to support every level of your project. From planning support to engraving your logo on the finished panel door and everything in between UCEC is your partner in creating a control panel to your exact needs and specifications. Have an unconventional project request or need a particular box to house your parts? We have the skills and the tools to custom fabricate your project while still meeting all safety and industry standards. We’re outfitted with state-of-the-art equipment you won’t find in just any panel shop. Our enclosure modification program CNC machine will modify your enclosure with an accuracy of a 1,000th of a millimeter. Our team will make sure your panel project has a blueprint for success from day one. Consult with us to design a panel that meets UL and industry standards with parts specified to outperform its environment whether it be intense temperature or sterile conditions. Wiring a control panel is as much an art form as it is a science. Our skilled craftsmen are experts in laying out panels to be of greatest benefit to the end user, our customers. Of course, a craftsman is only as good as his or her tools which is why we stock our shop with the best of both. Our Schleuniger wire stripping and cutting machine ensures our consistency and efficiency in this crucial part of the panel building process. We put the custom in customer service. Specialized name plate needs? Custom engraving projects? Give us a call. Our customer’s quality expectations shouldn’t just be met, but exceeded. Our quality control team is present at every part of the control panel building process and also meets regularly to determine new efficiencies and processes for the shop. You’ll always know where your project is in its process and when you can expect it at your door. Our project management team works to fit your timelines and provide visibility to your project’s progress every step of the way. Connecting your technology, people, processes, and customers allows you to reimagine how your business operates. 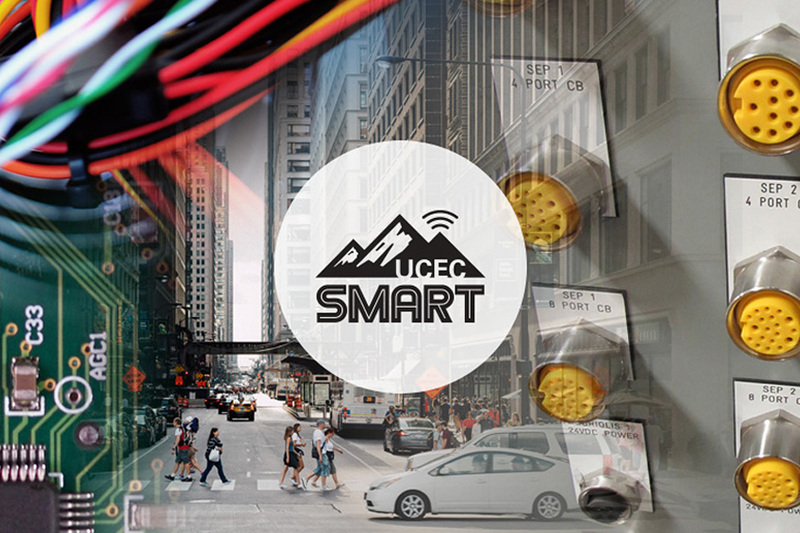 At UCEC SMART, we can work with you and our industry smart partners to show you many ways to become a better version of yourself. Looking for an even more intuitive and interconnected solution? Visit our newest division at UCECSmart.com. The growing ecosystem of smart, connected devices and systems have brought us to the advent of a programmable world, one that is intuitive, predictive and optimized. At UCEC Smart, we leverage our 60-year legacy of building quality custom control panels to deliver business solutions for this new age of functionality. Our deep expertise in multiple industries and our commitment to new technology make us the ideal partner for your next smart panel project. Our panels are manufactured in accordance to NEC and UL standards. 508A – Industrial Control Panels (UL 508A, File # E85221). 698A/NRBX – Industrial control panels with intrinsically safe circuit extensions to Class I Groups A, B, C and D, Class II, Groups E, F, and G and Class III hazardous locations (UL698A NRBX, File # E474991). NNNY – Industrial control panels located in Class I Division 1 Explosion-Proof and Purged/Pressurized Type X and Division 2 Purged/Pressurized Type Z and Nonincendive hazardous locations (NNNY, File # E474990).